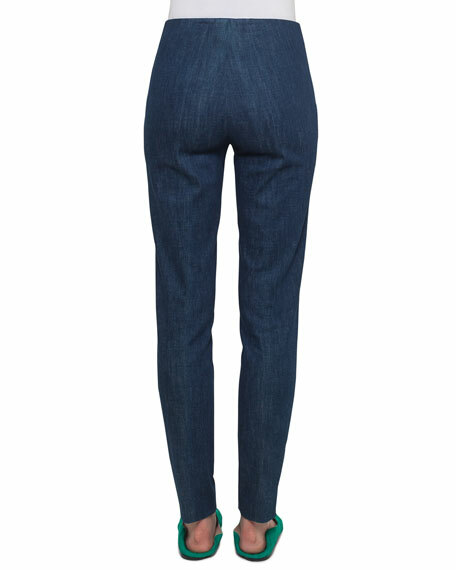 Akris "Melissa" pants in stretch-denim. For in-store inquiries, use sku #2297345. 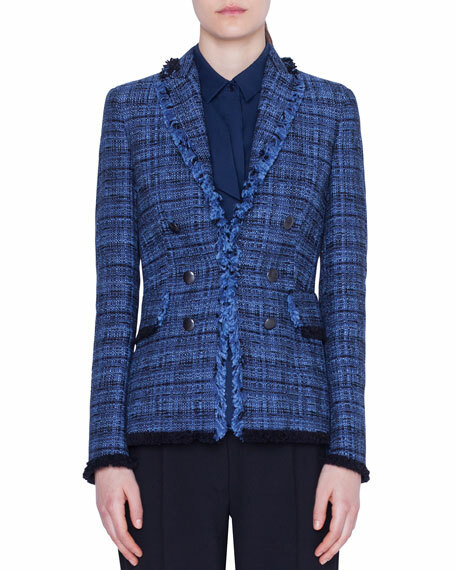 Balmain jacket in metallic tweed with contrast fringe trim. Round neckline; open front. Long sleeves with button finish. Structured shoulders. Classic fit. Straight hem. Polyester/nylon/viscose/wool. Lining, virgin wool/nylon/polyester. Made in France. 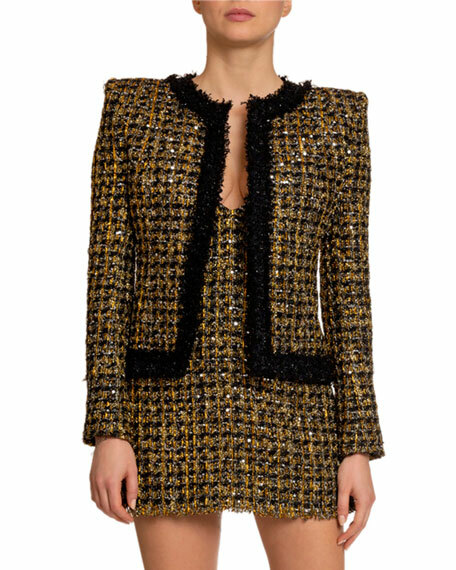 Balmain shimmer tweed jacket. Padded, exaggerated shoulders. 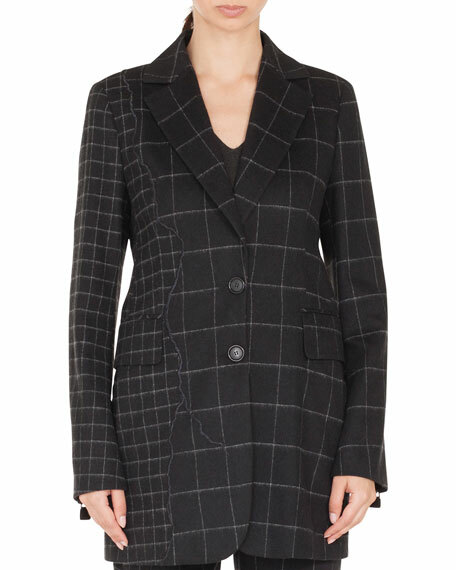 Hooded shawl collar; open front. Long sleeves. 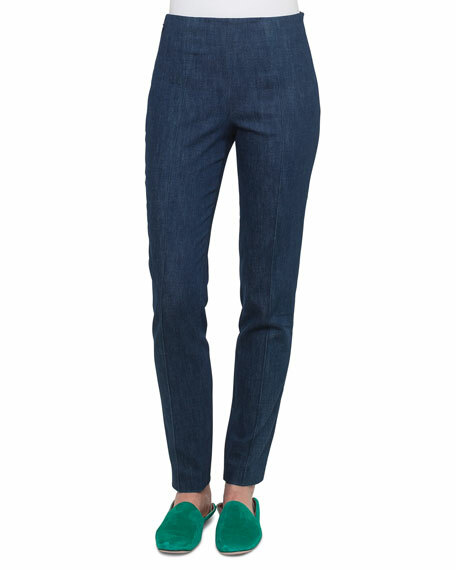 Four buttoned pockets. Semi fitted. Straight hem. Polyester/cotton/nylon/viscose. Made in France.